Are you looking for FIFA 18 Squad Battles Rewards? You are in the right place. We publish in this always updated page, all the prizes you can earn in this new FUT game mode. Squad Battles is a game mode within FIFA 18 Ultimate Team that rewards the best single players with amazing prizes. This page is your only stop for FIFA 18 Squad Battles rewards. The rewards are delivered every week, as soon as the event ends, on Mondays, at midnight GMT. The cards from the packs are tradeable, which means that you can sell them in the transfer market if you wish. You don’t need to open the packs in the week they are assigned to you. They can be stored to be opened later. They don’t expire. From Monday to Saturday, you can play up to four matches per day. On the weekend, you can play up to four matches every 8 hours. It means that, in a full week, you have a total of 45 matches to play, including the features squad match. The more wins you get, the better you will rank. So after 24 weeks are there no more squad battles? I hope that isnt the case because I really love squad battles and want them to continue. Squad Battles will still be released every week. These were the confirmed dates. Every Monday, at midnight UK time (from Sunday to Monday), the old round ends and a new one begins. The last round of FIFA 18 should be released in September. You can see the full calendar here. Yes, don’t waste your money and coins in packs. Fut Champions has the best rewards but for single player mode it’s Squad Battles the right choice. What can i do when i dont receive my packs? You can contact the EA Support. Do you get monthly squad battles rewards for finishing gold every week ?? I would suggest that you do not include Weeks 1 & 2 in your averages. Week 1 was early access only and Week 2 was pre-order access only for the first half of the week. I do not believe the data from those weeks will be reliable for helping us see what to expect going forward. It is a great suggestion. We agree with you. We already thought about that. This Sunday, we will not use the data of the first two weeks when we update the averages. Thank you. For this game mode, is there monthly rewards like weekend league? No, there is not. Only weekly rewards. I have made elite 3 as i play before rest of world. Turn on machine next day and have fallen to gold 2. So do i get the Elite reward because i attained it or do i get what ever rank i end up with at end of week? You only get the rewards of the rank you are when the event closes. Hi, I have Elite 1 at now. When I don’t play any game to end od week how division will am I? Can I get awards from elite 1 or my rank drop? You can’t get your rewards on the web or companion app. You will be able to redeem them as soon as you have your console again. Usually, we know the answer for this kind of question but since Squad Battles is a new game mode, we still don’t know. We believe you can save the packs for later, but we need to confirm this. Do you think i can get degraded again after i reached a certain rank in squad battles? Sure! You may have played your games but others don’t. Do you know when we will get them ? Your rewards were supposed to be waiting for you on the console. Anyone got their rewards? I havent. Can you claim the rewards on the app or in game only? Sorry, but we don’t know. It’s probably only on the console but maybe someone here can confirm. Anyone? Monday. As soon as the event ends. Will the amount of points required for each rank change depending on how many people play? On the early access it says that only 3% of players make elite 1, and so on. So will that make the required points for a certain rank higher? Great questions. We believe it works exactly how you explained. It probably depends on how many people are playing. The required points will be higher for sure. Can you play the squad battles on xbox360? . No, sorry. None of the new features will be available for PS3 or XBox 360. Hi. 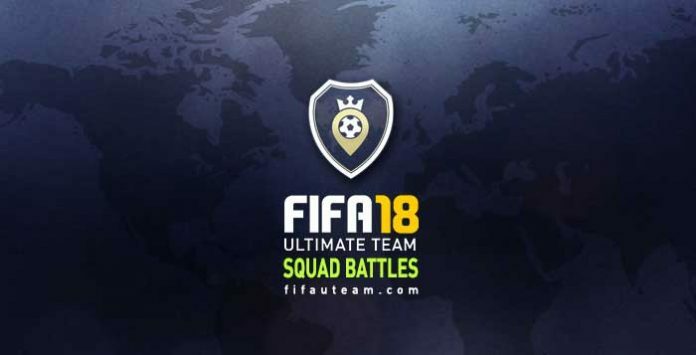 We still don’t know everything about Squad Battles but we may be able to help you anyway. 1) The points awarded per game depends on how good is the squad you are playing against and on the difficulty level you choose. Just like TOTW Challenges, you can see the estimated points you can win before the game starts, when you are choosing the level. 2) You will have to play to know how good you are. It depends on the difficulty level you choose but we believe you may reach at least Gold. 3) Who joins more points, get a higher position. It’s a general score across the community, exclusively in this game mode. We believe they won’t do it but it is something that would be a good addition. We believe you can play up to 40 matches per week but we don’t have any confirmation. Anyone who played the beta can confirm this, please? Okay thanks, and do you know anything about the timespawn? Squadbattles during midweek and futchamps during the weekend maybe? As far as we know, nothing will change on the FUT Champions and Squad Battles will be available every day.